much praised 2013 album Magenta. On 'Stars' Giuseppe's supplies the track with one of his trademark high-octane production engines, one that leaves a floor-impression crater-deep. Swedish starlet Linnea Schössow counterbalances its ferocity with a sky gazing, spellbinding vocal arc that stretches to the heavens, whilst Audrey Gallagher lends her bewitching, highly recognisable Gaelic inflection to 'Walk This World With Me'. 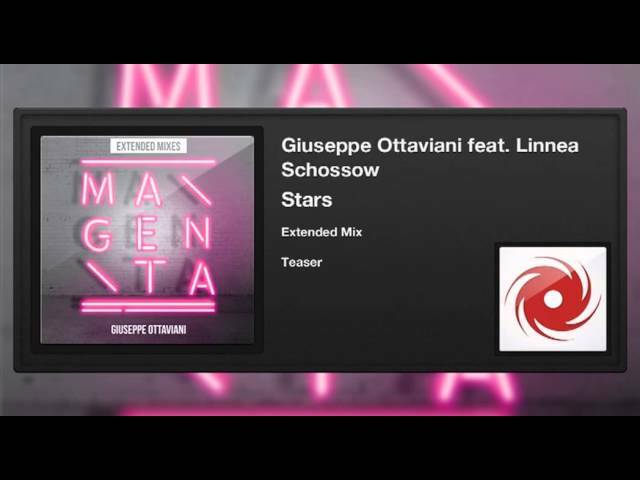 Ottaviani demonstrates that vocal lightning can strike twice as he re-teams with two of his 'GO!' album alumni. Stephen Pickup's vocal on 'Illusion' fleetingly splices a rock-ish gene into the Magenta album. Backed by Giuseppe's miasma-like harmonics meanwhile, Faith's entrancing turn on 'Nothing Wrong' burns up the room.